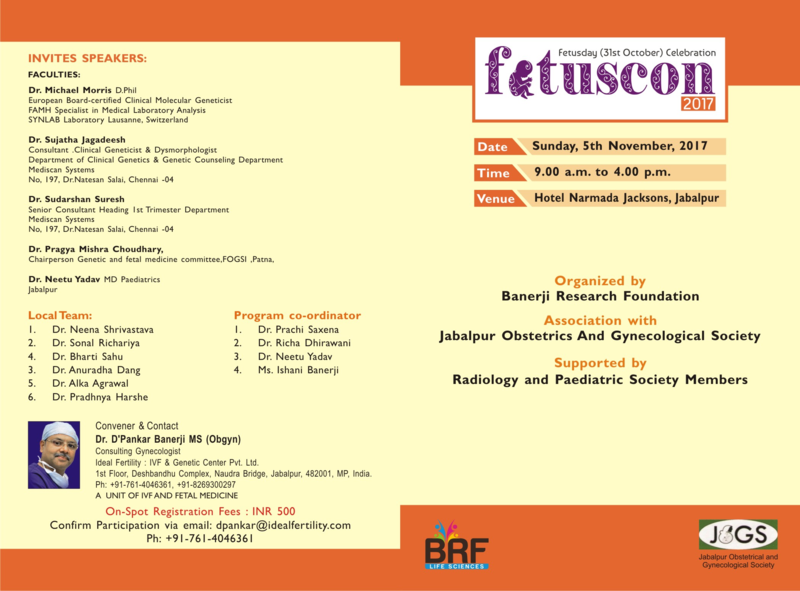 Fetus Day( 31st October), conceptualised in Jabalpur India, is celebrated every year. 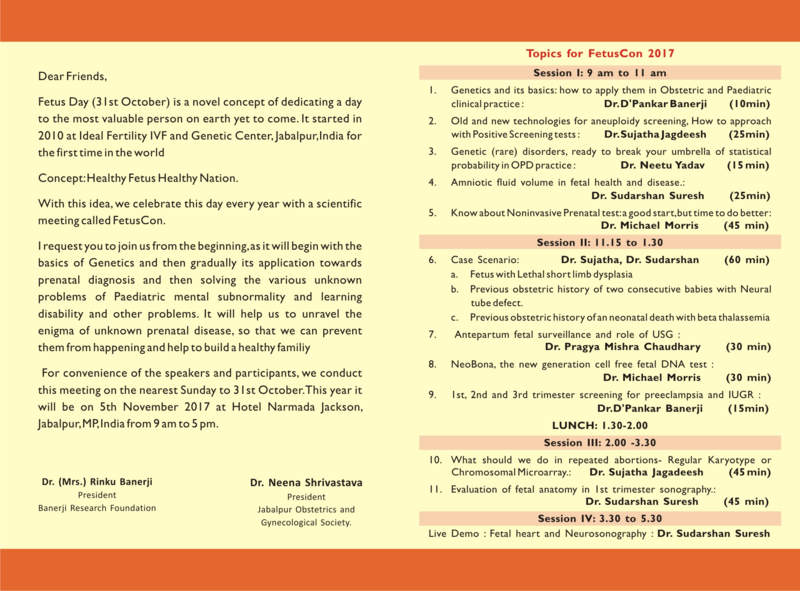 This year we are celebrating on 5th November 2017 as FetusCon2017. 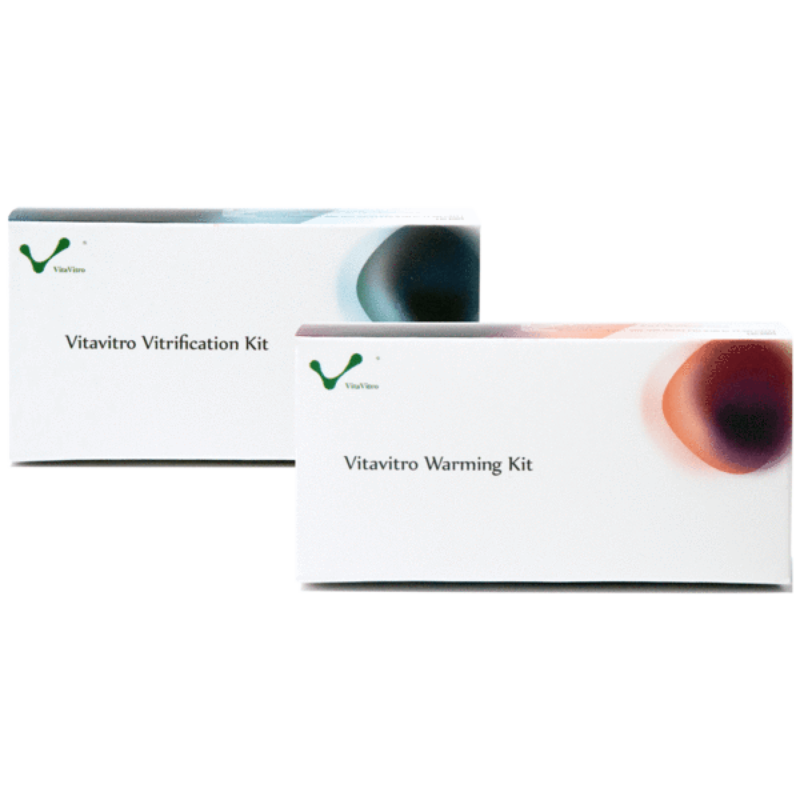 It is related to IVF as to know about basics of Genetics for PGD and PGS. It is a continuity from IVF to Fetus. I invite you in this One day meeting.